Situated on prestigious Turtle Creek Boulevard at the Renaissance on Turtle Creek Condominiums, 3225 Turtle Creek Boulevard, #533B is a stunning condominium conveniently located on the pool level and opens to gorgeous views of the pool! 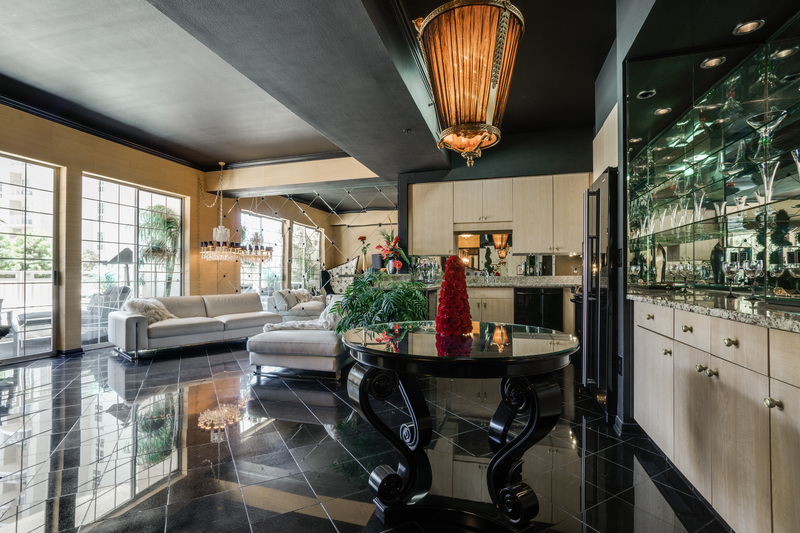 Showcasing a dramatic finish-out, the sophisticated residence includes 10-foot ceilings, gleaming black marble floors, grass cloth and crocodile embossed leather walls, mirrored accents and recessed and decorative lighting throughout. The fabulous condominium offers 846 square feet, one bedroom, one bath, an inviting entry, sleek living-dining room opening to a covered patio overlooking the scenic pool and lounging area, spacious granite kitchen with a breakfast bar and dry bar, luxurious master suite with dual walk-in closets and a wonderful marble bath, and a utility closet. Additional amenities include: 24-hour security, concierge, two pools, two fitness centers, a sauna, outdoor grills, community rooms and valet parking.